Today’s guests on The Coaching Through Chaos Podcast are Mark B. Borg, Jr., Ph.D., Grant H. Brenner, M.D., and Daniel Berry, RN, MHA. They are the co-authors of the new book, “Irrelationship: How We Use Dysfunctional Relationships to Hide from Intimacy (Central Recovery Press, 2015). The term “dysfunctional relationship” is part of our vernacular these days. I don’t think I’ve met a person that didn’t relate to having had experienced at least one, whether that be in their family of origin, their intimate relationships, or in their friendships at some time in life. 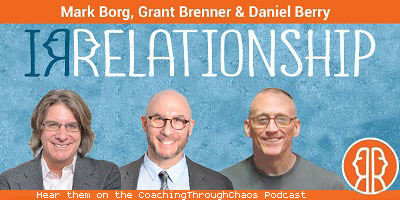 Borg, Brenner and Berry, otherwise know as The Irrelationship Group, have defined a dynamic in relationships that demonstrates how certain dysfunctions are permitted to perpetuate themselves and they provide an in-depth path to getting into a healthier dynamic with your partner to allow deeper intimacy and real, reciprocal love. They call this relationship dynamic irrelationship. Consider the following descriptors. Do any of them resonate with you? Do you think you can save, fix, or rescue the person you are drawn to? Do you hope they can fix, save or rescue you? Is your idea of love mostly about taking care of your partner? Is your idea of love mostly about your partner taking care of you? Do you feel a lack of empathy or reciprocity when you are busy doing things for the person you love? When you show you really care, do you feel drained, used, or depleted instead of invigorated? Does your relationship often feel like more work than play and more unspoken discomfort than joy? Do you feel your relationship is ultimately not enriching your life? If you answer yes to any of the above question, it suggests that you may build relationships for all the wrong reasons. But stay with us: you are building awareness, and that is an important first step. Also, don’t blame yourself for this kind of behavior; this is a pattern you’ve come by honestly. One of the apparent contradictions seen in individuals caught in irrelationship is their high tolerance for certain types of emotions pain, particularly loneliness. This may be related to the blunting of awareness of feelings referred to earlier. In fact, irrelationship is a defense against true connection that drives the individual to fill his or her consciousness and time with taking care of others. The paradox is that this "busy-ness" with others ensures that no profound experience of others - no trust or intimacy- can develop. The following conversation illustrates a couple stuck in an irrelationship trance. On the surface, the conversation revolves around simple disappointment. He: You're really not very nice to me. He: No, you're not. You just aren't. She: I am so. You just don't appreciate me. He: Appreciate you? When you're so hard on me all the time? She: Hard on you? With all the things I do for you, you think I'm hard on you? Obviously, each person is dissatisfied with something in the dynamic of the relationship, nut neither person is willing to step back and to try to find out what's actually happening. Instead, each is lobbing accusations at the others unexamined viewpoint without challenging their commitment to irrelationship. Instead they dig in their heels and argue about some undefined idea of "nice". They even forget - dissociate from - happier memories of their shared past, choosing to recall only bad memories and mean things the other has said and done. This allows each person to believe that he or she has proven how "bad" the other person is. People caught in irrelationship often use this self-protective "I'm right, you're wrong" tactic with spouses, partners, children, friends, and colleagues. By not calling time-out to find out what's actually going on, they recommit to brainlock and remain dissociated. Since it's easier to remember bad things when we're in the same emotional state we were in when they first happened (state dependent memory), it's also easier to remember bad things when we are in a fight or feeling bad. After a while, all our interactions become fighting and bad memories. And eventually, all relationships in general seem bad, prompting us to swear off dating or cultivating other social contacts. Whew! A little self-disclosure here....I totally related to this from at least one relationship in my past and truth-be-told, I probably struggle to avoid falling into this in my current relationship. If you're relating to this dance between partners too, don't worry, Borg, Brenner and Berry totally give you the detailed pathway out of irrelationship. And if you, as I did, worried when you saw yourself in their words, you'll find lots and lots of examples of real-life couples the authors worked with to identify and breakthrough their brainlock to allow them ways to find deeper connection and more intimacy in their relationships. It helps to know others have been there too. As you read through Irrelationship, you'll find sections at the end of each chapter called "Toward Positive Change". These sections are full of self-reflective questions and thought exercises to help you examine your process more clearly. Then, the authors give you the actual formula to end the dance of irrelationship altogether. They call that the DREAM sequence - it's their recipe for a successful relationship. At the end of the book, the authors invite you to join in the Irrelationship blog-based community online. They even invite you to share your story with the community, ask for help if you need it, or reflect with others on their experiences during and post irrelationship. How cool is that !?! Stewart Levine was an attorney who discovered early on in his practice that he was much better at getting the opposing sides to collaborate and agree on a settlement than having him fight and hold a position until he “won”. This led him to re-evaluate his career path. He went on to become a marketing consultant at AT&T where he saw that “the reason collaborations fall apart is that people do not spend the time at the beginning of new working relationships to create clarity about what they want to accomplish together, and how they will get there”. This eventually led him to document his observations and theories on conflict resolution. He originally wrote “Getting to Resolution: Turning Conflict into Collaboration” in 1998 (the 2nd edition came out in 2009). When “Getting to Resolution” came out it was named one of the Top 30 Business Books of the year. Stewart’s models for problem solving, collaboration and conflict resolution are used in many Fortune 100 Organizations and have been endorsed by countless thought leaders including the House Judiciary Committee; 3M; American Express; Chevron; Con-Agra; EDS; General Motors; Harvard Law School; Oracle; Safeco; University of San Francisco; U.S. Departments of Agriculture; Navy and many others. Why is it so important to be able to resolve conflict efficiently? Conflict presents itself in all of our lives at some time. Sometimes with think we need to fight it out, other times we wish we had a solution for the problem. Models of conflict resolution are so needed. It’s also more than likely that you have experienced a conflict in your workplace at some time in history. CPP, Inc. (the people that brought us the Meyers-Briggs personality Assessment) commissioned a study in conjunction with OPP, Ltd. to shed light on the nature of workplace conflict. It was conducted over nine countries, surveying over 5,000 employees. They looked specifically at any workplace disagreement which disrupted the employee’s workflow. Some of their findings are that: - Almost 25% pf people surveyed stated that they took time off of work through unplanned sick leave in order to avoid a conflict in the workplace. - There are estimates that companies lose approximately $700 per employee per year due to conflict avoidant behavior (either through sick time off or lack of productivity). - 85% of employees experience conflict in the workplace at some time in their career. - U.S. employees spend 2.8 hours per week dealing with conflict, equating to approximately $359 billion in paid hours in 2008. The study found, and confirmed their hypothesis, that ineffectively managed conflict is costing businesses millions of dollars per year. Yet, on the flip side, they found that if harnessed correctly, the conflict can “stimulate progress in ways harmony often cannot”. Stewart’s perspective, which can be applied both inter-personally and in the corporate culture, creates room for discussion and a step-by-step process for resolution through collaboration. He seeks through his Agreements for Results to get people quickly back to a productive mode when working relationships have broken down. Stewart is a very strong believes in creating a culture of agreement and resolution; a culture of collaboration is born out of his model. For Stewart, getting to resolution begins with his “10 Principles of Revolutionary Thinking” and involves his 7-Step guide to crafting the resolution. He breaks down the principles and the steps very succinctly and makes getting to resolution possibility for everyone. If you’ve been struggling with how to resolve a conflict, or have been involved in uncomfortable workplace scenarios in which no one wants to get to a resolution, check out Stewart’s website ResolutionWorks.com. You can browse his books on conflict resolution including Getting to Resolution. Stewart is also available for speaking engagements ranging from corporate events to smaller, more interpersonal-focused settings. 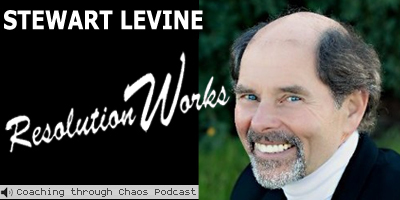 ResolutionWorks.com : You can find information about Stwert Levine - his work, books, how to hire him. ~ Do discussions about money bring discord into your relationship ? If the answer is yes, you are not alone. In this interview, certified financial planner Jeff Motske provides helpful tips to resolve this problem, as covered in his book - 'The Couples Guide to Financial Compatibility'. The solutions he provides will help you plan for the future, build a solid foundation for your financial house, proactively discuss finances with your partner and deal with boomerangs. This year alone we’ve witnessed several companies, including Radio Shack close up its doors for good. Other major chains like Sears, Abercrombie & Fitch, Barnes & Noble, Anna’s Linens and Aerospostale have confirmed that they will be closing many if not all of their stores due to diminished sales and/or bankruptcy. These stories, although they may not affect us personally, can affect the level of stress we carry about our own financial situation. Its societal data points like this that remind us that financial success can be tough to achieve and can be fleeting. Today’s episode focuses on how to help couples talk about money. My guest is Jeff Motske. He is the CEO of Trilogy Financial Services; host of the show “Declare Your Financial Independence” on 1110AM KFAX San Francisco, and the author of “The Couples Guide to Financial Compatibility”. Jeff talks with us about building a financial legacy; how to talk you’re your spouse about a family budget and how to talk with your adult kids about financial responsibility when they move back home. He’s also going to tell us all about his “War of the Wallets” quiz that you can take online with your spouse. When Trilogy was in its infancy, Jeff started out meeting his client’s needs based on where they were in life and what their financial goals were. He took a small town approach when his competitors were sticking with Wall Street strategies. This approached has grown Trilogy into a nationwide company whose client’s investments surpass $2 billion dollars. Jeff provided us with a lot of insight and some great tips on helping couples talk about their finances and plan for life events. We all feel the stress of money at times. Back in my single days, I used to imagine it would be easier to handle money stress when the day came that I would partner up and get married, as I imagine most people think. The problem is, it doesn’t actually get easier. In fact, depending on your situation, either a 2 -income or 1 - income household, it can pose new complications you didn’t have when single (i.e. power struggles over spending, deciding on how to budget, and setting financial limits). In fact, money can be one of the most complicated, or stress-inducing, subjects for couples to talk about. If you search online, you’ll find article after article about how money is the hottest point of contention between couples – I found numbers between 35-57% of couples complaining that money is their number 1 problem. Whether they argue or not, Couples face a lot of stresses in life in life: work, family, kids, who’s going to do the grocery shopping, who’s going to do the dishes. However, when different financial philosophies or struggles enter the picture, it can absolutely get them stuck. Money affects all of us differently. Our parents’ philosophy around money often dictates our own. One person may be a spender; the other may be a saver. Sometimes they have similar philosophies both are spenders or savers. Other times, they walk blindly through their life believing their partner is handling the finances. Turning a blind eye to your financial situation and always letting your partner handle it can really get you into trouble. In a partnership, even if one person is the designated “bill payer”, its important to at least be apprised of your current situation on at least a monthly basis. In my private practice, I’ve come across couples who have literally avoided talking about their financial picture for years. Once a couple gets locked in this avoidant pattern, it can be hard to break, but it can be done. A lot of what Jeff emphasizes for the couples to keep them healthy financially is similar to the work us marriage therapists do at times with our clients. One of the key components to a happy relationship is effective communication and you need that to do any of the things Jeff talked about. I think the financial date night is a great idea. When couples plan to set aside time to talk about finances (or any other stressful matter), it can relieve the stress of “how do I” or “when do I” bring up my questions or concerns to my partner. Just to make it easier to stay focused, couples can bring notes with them for these discussions. Holding the meeting under the guise of a “date” sets the tone that this is about connection and having the meeting outside of the home reduces the chances of the couple getting emotionally triggered and arguing over a difficult item. I would caution you that couples that have been avoidant of talking about their finances have probably been avoidant about other topics as well. Getting back into talking about these uncomfortable topics can add stress to an already stressful situation. Keep in mind that the financial date night, should be looked at as a time for collaborative problem solving and a time to express concerns effectively. If couples that have been avoidant in the past find that they’re still having trouble addressing the issue or don’t know how to go about talking about it, I’d recommend that they seek out a few sessions with a licensed marriage and family therapist. Most marriage therapists are interested in helping couples effectively communicate and develop the skills to talk with each other safely & authentically without needing the therapist. Deciding to go to couples counseling can be intimidating but it’s really not uncommon for couples to reach out when they are about to embark on trying new behaviors or ways of communicating to ask for help with that. 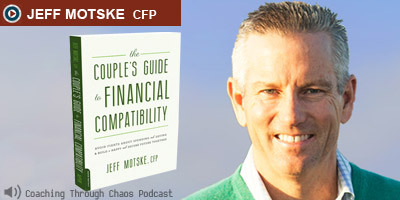 Whatever your financial situation is, Jeff Motske's book, "The Couples Guide to Financial Compatibility" can be a healthy starting point for exploring your financial philosophies as a couple and gaining some guidance on ways to discuss the financial planning of some of life's milestones. Real Hope/Free communication tips providing some free helpful tips online for increasing healthy couple communication. Harville Hendrix Intentional Dialogue Exercise Harville Hendrix is a master of couple relationship dynamics. He is the founder of IMAGO Therapy. His Intentional Dialogue exercise is a communication strategy designed to help you work through issues or disagreements that may be holding you back from a more intimate and fulfilling relationship with your partner. Love Pong Love Pong is an interactive online game designed to help couples improve their communication and express their emotions more effectively. 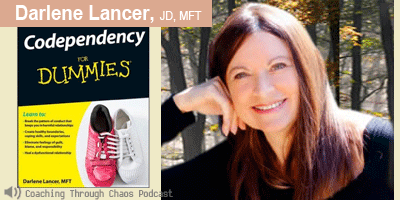 Dr. Colleen Mullen speaks with Darlene Lancer, JD, MFT, author of Codependency for Dummies. The topic is codependency: what it is and what it is NOT; the difference between normal and codependent behaviors and what a person can do to help themselves. chronic dissatisfaction in relationships ? If those descriptions ring a bell, you probably know someone who may be considered 'codependent'. If you’re into self-help at all, you probably have heard the term codependency- it’s often talked about it in terms of one having a codependent personality. I want to be clear that codependency is NOT a diagnosable condition, although it is talked about in those terms. You may also have been familiar with it, but have been unsure of a clear definition of it. That’s because there is not 1 universal definition of it. There is however, consensus that it is a cluster of behaviors in relationships which can be somewhat easily identified and very often problematic. The history of the term dates back to the 1940s and early 1950s. Primarily it was identified in studying the behavior of an alcoholic within the context of their family experience. The behaviors identified as codependent appeared to be a pattern in these families. The use of the term seemed to explode though a few decades later. In the 1980s with the advent of a focus of family system dynamics, several books came out designed to help people break those dysfunctional behavior patterns. The most famous book that still is referenced today on the subject is Melody Beattie's "Codependent No More". During that time, everyone started studying the families of alcoholics and saw these behaviors but as the clusters of behaviors became more recognizable, so did the fact that so many other people exhibited the same behavior patters who did not come from alcoholic families. The term is now popularly used to generally describe a cluster of behaviors in relationships. For more info, please listen to the episode. He’s no longer alive, but he sure lived a triumphant life. To honor him today, I’d like to share about him. 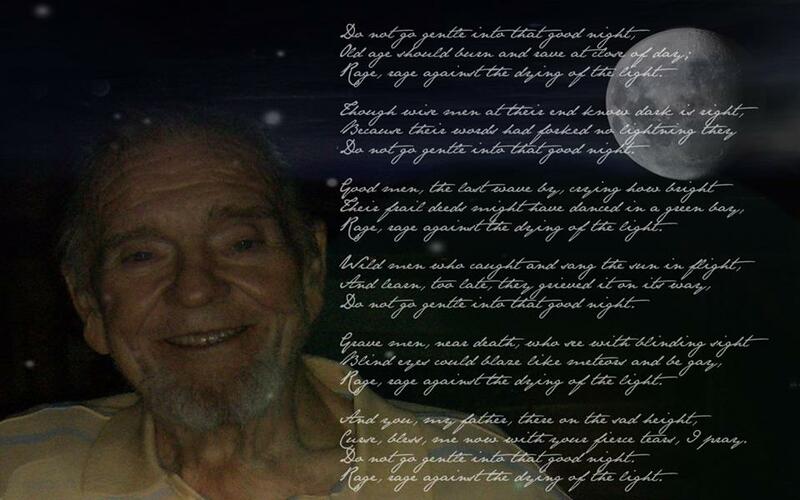 My father, Frank Mullen, Sr. was born in 1928. He caught polio at age 3 and was a paraplegic the remainder of his life. He was a March of Dimes poster child when he was about 8 years old. There’s a great picture of him in his leg braces and crutches that was always proudly displayed in my family’s home. For as much as I knew my father was “disabled”, he didn’t live that way, so the picture always reminded me that he really worked hard every day just to live like “the rest of us”. So he raised 5 kids, ran a successful business, occasionally taught a class or spoke at a bar association meeting and traveled all without the use of his legs. Some of my best memories are of us playing catch in the front yard. Dad would be on the ride-around mower and he would throw the football to us while we would run or he’d use the mower to help him “run” to make the catch we threw back at him. There was nothing “disabled” about him. He always found time to take me to my piano recitals and was a great support when I was nervous before a competition. He supported whatever choices we made in life. He had opinions about them, but he trusted our judgment. The last 5-7 years of his life found him living in Florida after a costly divorce, with a retirement plan that didn’t go as he would have liked and with some serious health problems. One of my brothers died suddenly during that time period as well. Dad never really recovered from that – I don’t think anyone really does. He did, however, have a new wife who loved him dearly in her own special way. That relationship was the saving grace in his life at that time. I had some special moments with him after he moved to Florida. It was fun to see him living life on very relaxed terms and enjoying himself. He remained fiercely independent both physically and mentally. Once he paired up with his wife, he didn’t travel alone anymore, but I remember a time right before that when he drove himself to Chicago to attend a conference. I would always worry about him traveling alone. For as strong as he was, because of his physical representation, he always appeared vulnerable. He would always laugh and tell me I should have more faith in him and his abilities. He ended up passing away in 2009 from multiple complicated medical issues. I still miss his Friday morning phone calls.